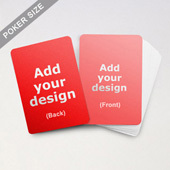 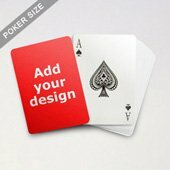 Customization: Each card can be customized individually on the specified area on the front. 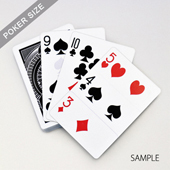 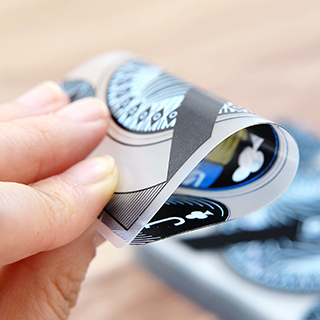 Make your own deck of transparent poker playing cards which are made out of 100% clear plastic material. 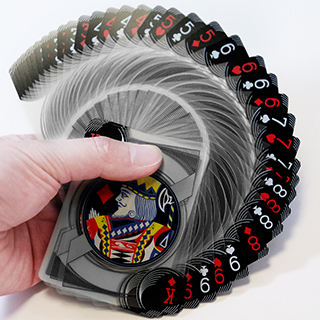 They are waterproof and handle amazingly well too. 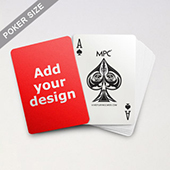 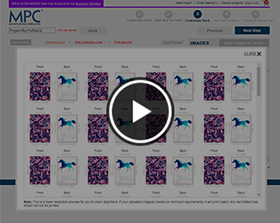 Create your clear deck of cards on our online cards maker by uploading your artwork or image file to preset area on card front. 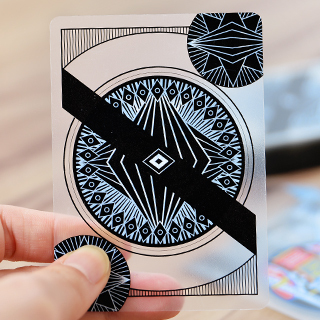 Preview your deck before submitting to us. 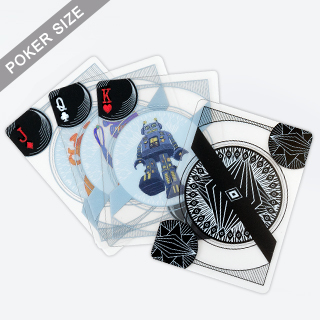 If you need complete custom transparent playing cards customized on both front and back, please contact us with your requirements.